The following photographs were sent in by Matt Arnold In June. This game is planned to be released in August 2004. I actually have the promotional demo of this game, a local bookstore owner gave me this game to test for possible tournament play. 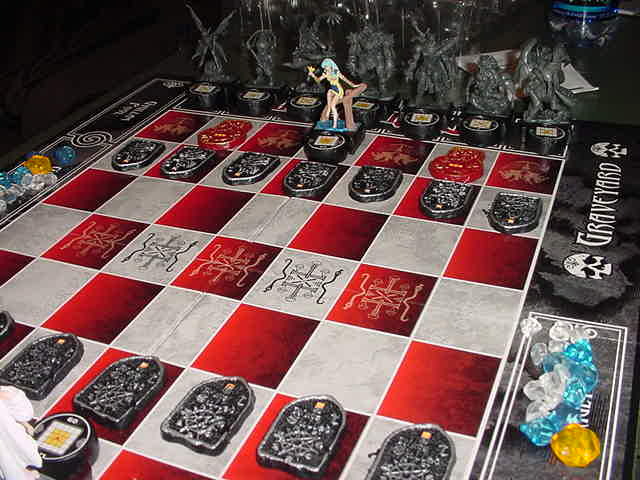 the game is extremely fun to play and very easy to learn. I am more excited about being able to paint the figurines. each figurine is alo mark as first edition for the collectors out there, though i did receive a error fingurine. 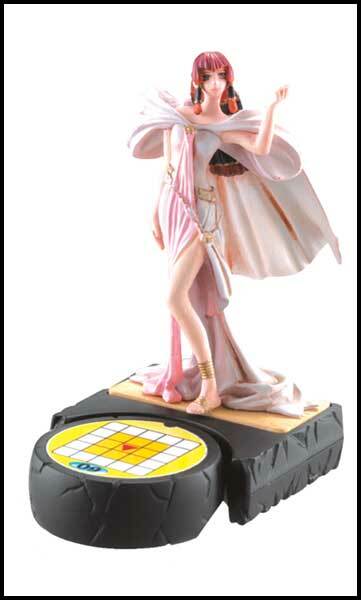 the figurine Navia estella has the movement compass and name plate of another figurine in the set. 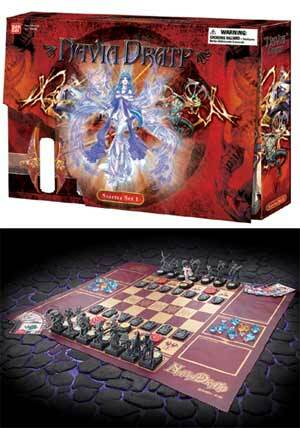 the demo i have came with one board and rule book, but the figures and jewels of the two starter sets. i recommand giving it a try. James, thank you for your comments. I did not invent the game or have anything to do with Bandai Inc. The editors have wrongly attributed it to me because of the idea I had for a multi-player variant of ND. I've notified the editors about it repeatedly and asked that this be corrected. Bob, I agree on how beautiful it is. For those who want more detail on what Bob has reported here, click the link above these comments to go to the complete rules description. 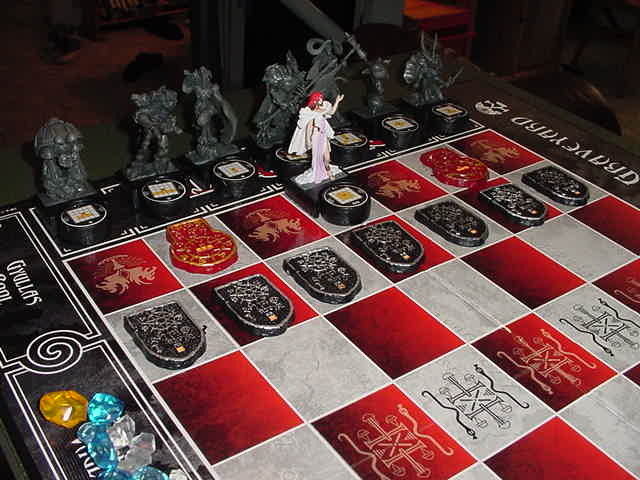 Actually I saw this game displayed at GAMA in Vegas earlier this year. The detail on this figures is fantastic it's a rich looking game. The figures have different movement and attack abilities, as they attack and succeed they become stronger. Once you have accumulated enough 'stones' (I forget their name) you can 'dratp' a figurine, dratping allows you to flip the figurines dial which makes it stronger. 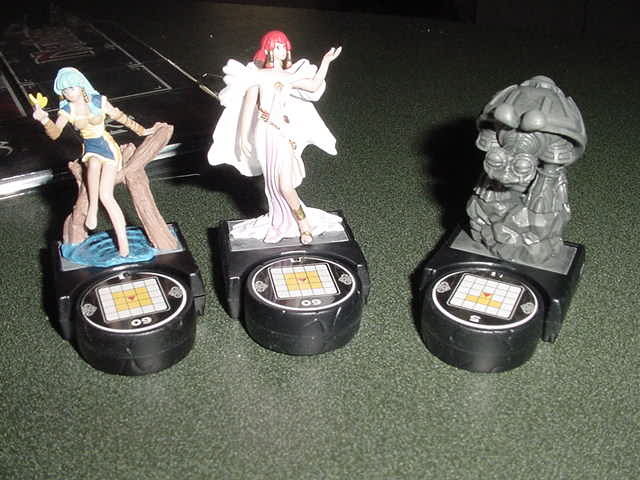 See the dial on the Navia figurine?, that is the dial that flips (dratps). Bandai will supporting this game with organized play tournaments wher you can compete for limited edition figures. There are 2 different starter kits, boosters with 2 (I think) random figures in them. Street date is currently 8-14.